Udaipur: "Today's Union Government is abusing National Investigating Agency to harass people who take up people's rights issues and demand justice for them. In the name of national security the rights of indigenous people are thwarted and the corporate houses are benefited by the government usurping the rights of Adivasis. The actions of NIA have nothing to do with national security, they are taken to safeguard the corporate interests. " This was stated by Brinda Karat, Former Member of Parliament and member of the Polit Bureau of Communist Party of India (Marxist). 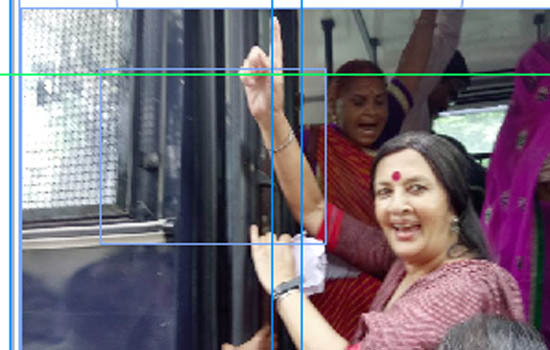 Comrade Brinda Karat came to Udaipur on Thursday on the occasion of United Nations World Indigenous People's Day to participate in a rally organized by Akhil Baharat Kisan Sabha, Adivasi Adhikar Evam Ekta Manch, Centre of Indian Trade Unions along with other mass organizations. In an interview before the rally she said that 9th August is " Quit India Movement " Day which is being observed today as " BJP Government Quit" by the mass organizations organizing the rally and " Jail Bharo " Movement. The demands of the movement include ensuring the right of Adivasis over their land, proper implementation of Forest Rights Act and safeguarding the democratic rights of the people. She said that the state government of Rajasthan is blatantly violating the Forests Rights Act and is using other coercive laws and regulations to usurp the rights of the Adivasis of Rajasthan. She said that The Chief Minister of Rajasthan is taking out " Gaurav Yatra " amidst widespread poverty and suffering of the masses made still worse by state's anti tribal, anti-peasant policies. The involvement of BJP office bearers in mob lynching and the apathy of police is shocking , she said. She alleged that the Union Government is subordinated to corporate power and is bent upon destroying the constitutional values. She emphatically stressed the need of a radical movement against BJP government . She said that all political forces should align together to defeat BJP in coming elections.